If you're not sure where to start or where to go next with your researcher development, the following two courses may be of particular interest. We highly recommend that all students take this course at the beginning of their studies, as well as each year thereafter. This will help you to plan your researcher development training most effectively. One-to-One sessions with a Researcher Developer are available to help support you in your researcher development in any way, but particularly as a follow-up to the Skills Analysis Survey. These courses are taken from our full programme for research students, which is listed according to theme below. Personal effectiveness is 'how' we do our research well, and runs through every aspect of life. No researcher is an island. When you have finished your PhD, what comes next? 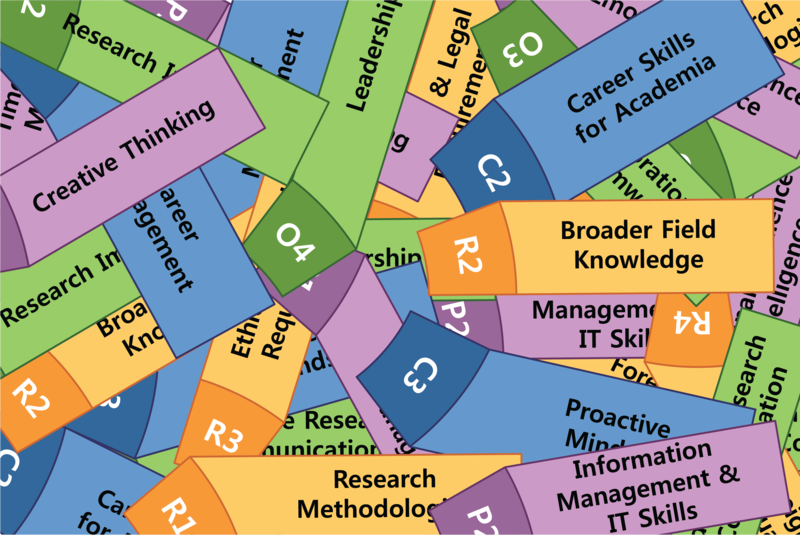 The Careers Service is the principal provider of training and assistance for career-related skills within the University. The Centre for Teaching and Learning is the central coordinator of training for those involved in or wishing to teach. There are many opportunities for developing your entrepreneurial skills whilst in Cambridge: see the RD Hub for more details. Research is, of course, what we do. You will primarily develop these skills through training provided by your Department, Faculty or School, as well as by engaging in your research, attending talks and seminars, and learning from colleagues. The Language Centre is the principal provider of training and assistance for language-related skills within the University. The University Information Services provide training in a range of different programming languages. There are several providers of training in statistics and bioinformatics within the University: see the RD Hub for more details. The Research Strategy Office runs an Introduction to Research Integrity course. Finally, the University Library also provides a range of training relating to this skill area. In order to view the current timetable of courses on offer from the RDP, please visit the University training booking system.